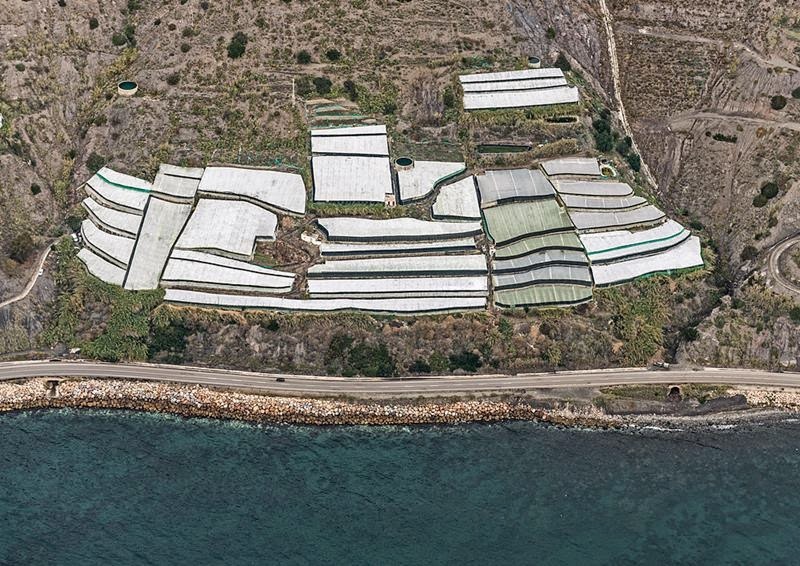 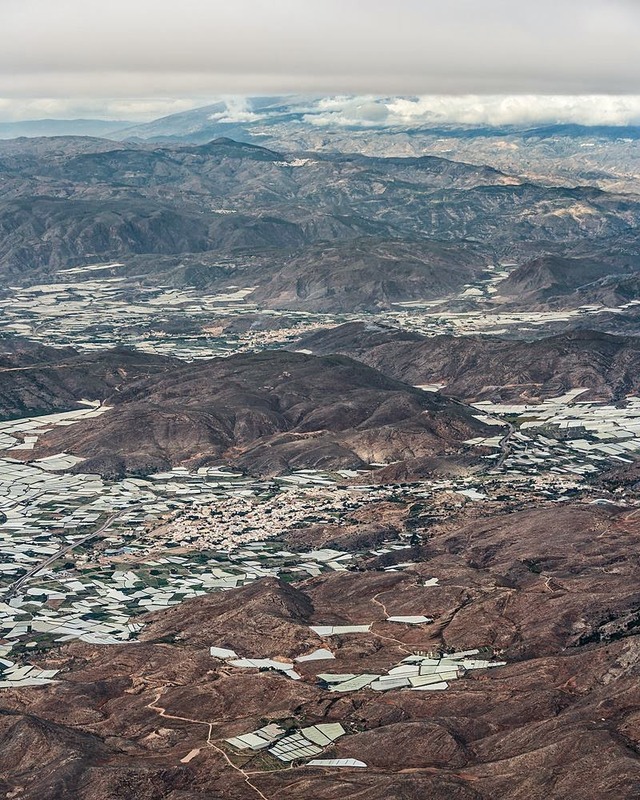 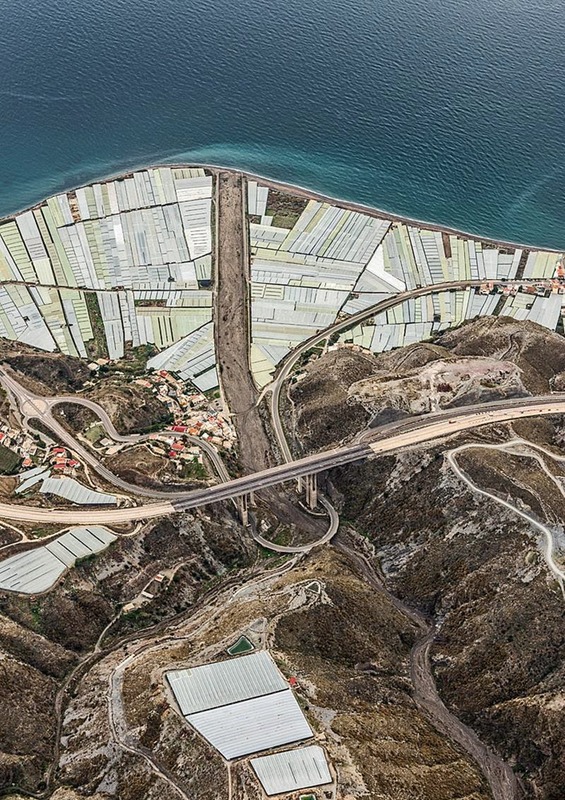 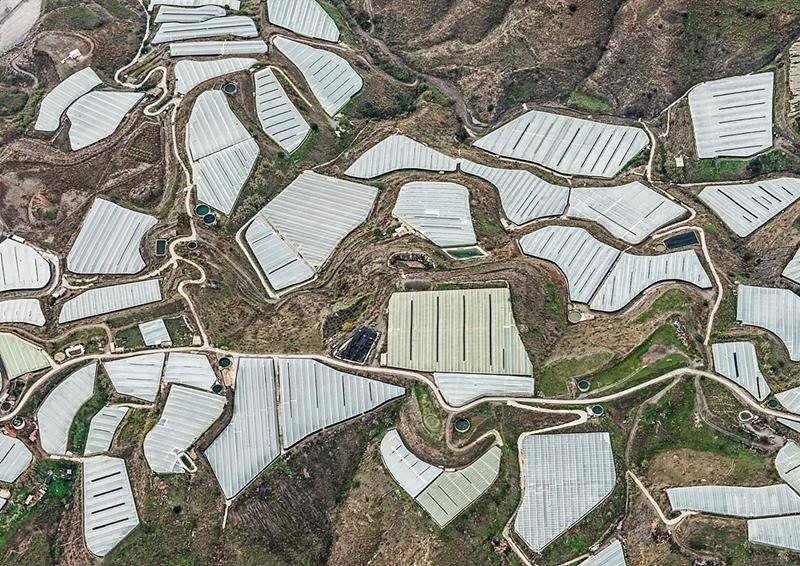 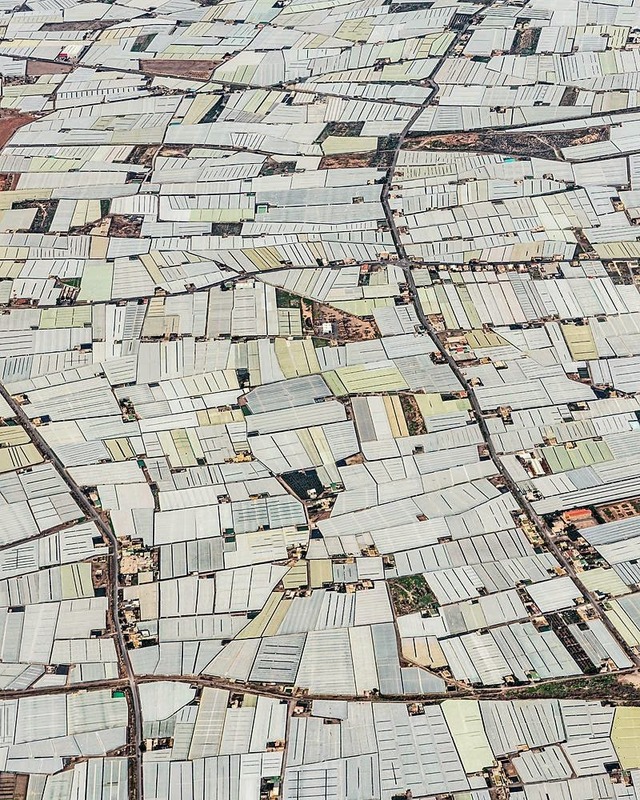 " Aerial View of Plastic Sea " , a wonderful series of aerial photographs taken in November 2014 by Bernhard Lang, of the "Sea of Plastic" - Agriculture Greenhouse in the region of Almería, southern Spain. 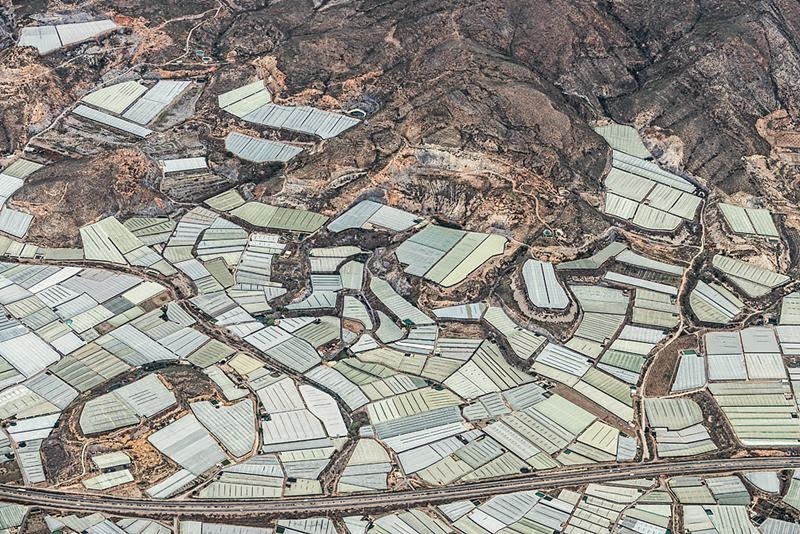 Campo de Dalías, some 30 km southwest of the city of Almería in southern Spain. 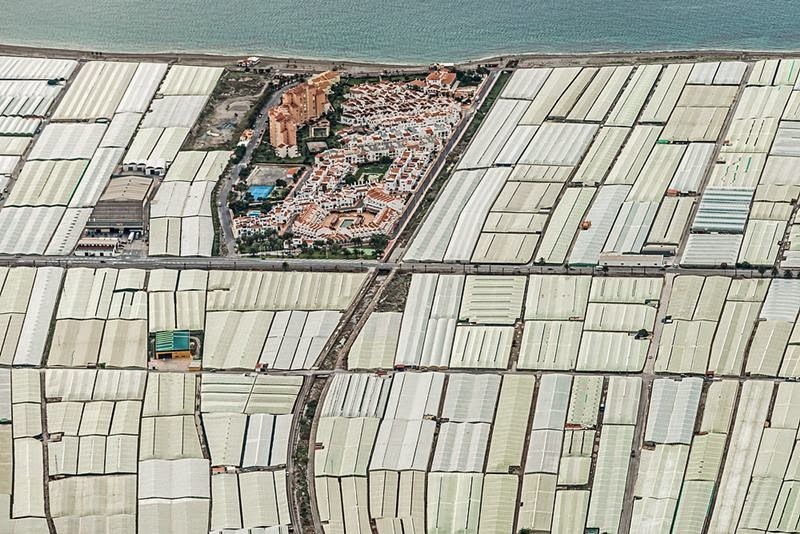 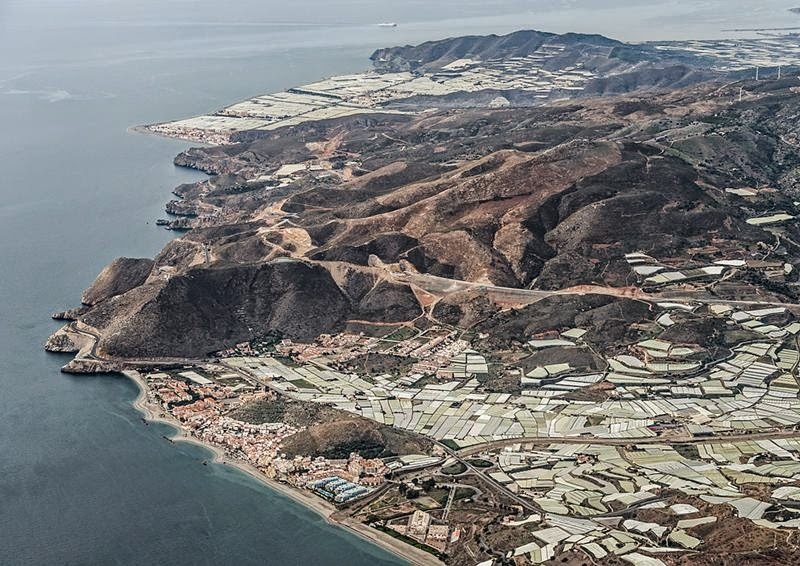 Almería has become Europe's market garden and grow fruit and vegetables all year, the land is shaded in plastic sheet. 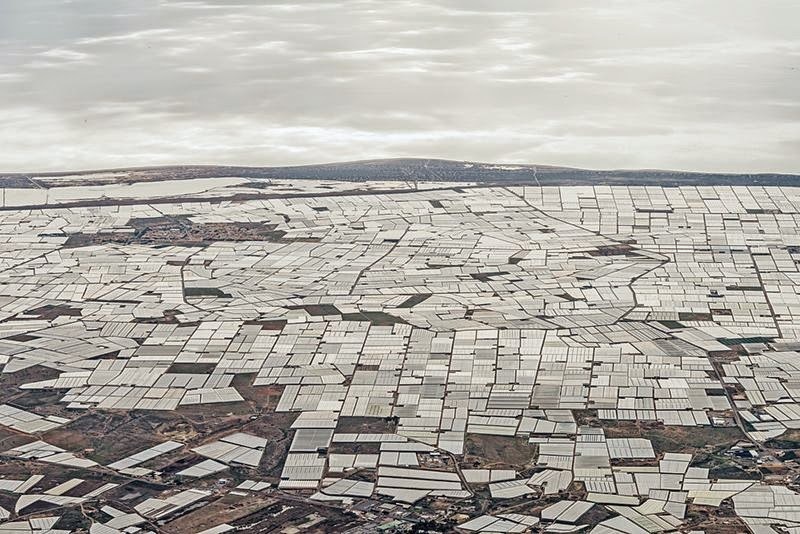 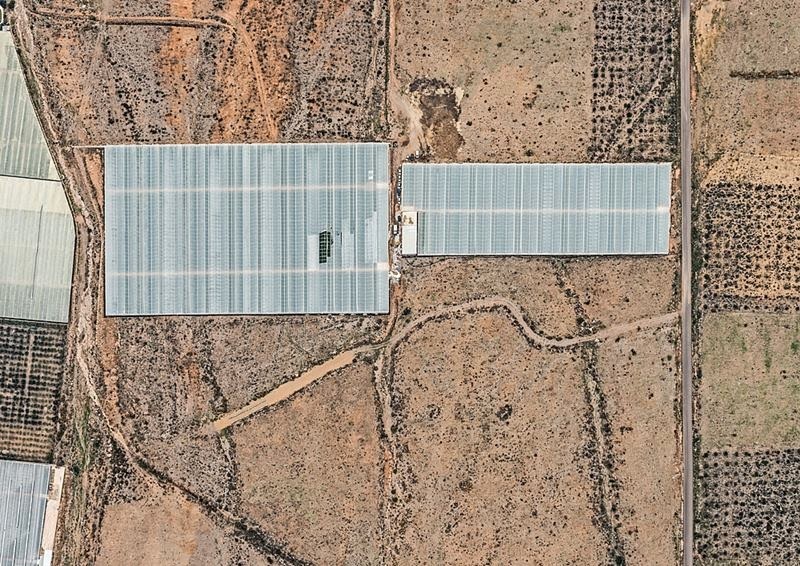 There are now an estimated 40,000 hectares of greenhouses in the Campo de Dalías,where every year millions of tons of fruits and vegetables are exported, the largest concentration in the world. 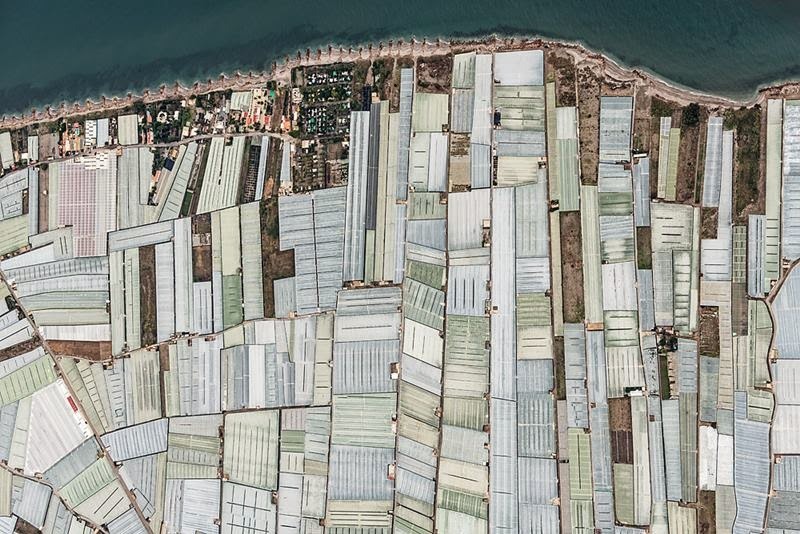 Over 2.7 million tonnes of produce are grown on the plain each year, accounting for over €1.2 billion in economic activity.